Get huge savings with our compatible HP PageWide Enterprise color MFP 586f ink cartridges without compromising on print quality. Our products are specially engineered to offer a hassle-free printing process. After a simple installation, these discount ink cartridges provide an uninterrupted connection to your printer. 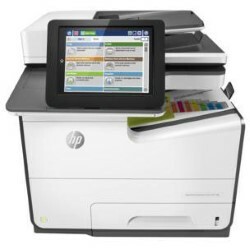 Our ink cartridges for HP PageWide Enterprise color MFP 586f printers have passed a detailed quality inspection, which guarantees this product to be free of all defects and ensures it will effortlessly work with your HP printer. Our compatible printer ink and toner cartridges come with a 1-Year warranty and 100% satisfaction guarantee.